SS Rajamouli's upcoming film, Baahubali : The Conclusion is just four-weeks away for its theatrical release. 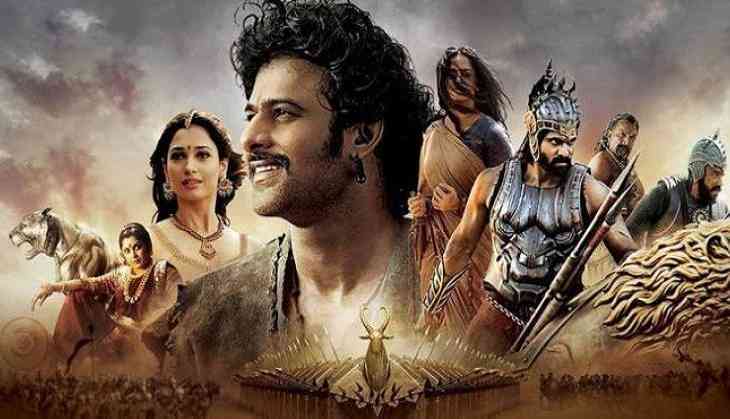 Jointly produced by Shobu Yarlagadda, Kovelamudi Raghavendra Rao and Prasad Devineni, the sequel to the 2015 blockbuster Baahubali : The Beginning. The film stars Prabhas, Rana Daggubati, Anushka Shetty and Tamannaah Bhatia in lead roles. The makers have already kick started the promotions of the film and it's Hindi distributor, Bollywood director Karan Johar announced an plan ahead of Baahubali 2 release. Interestingly, the Hindi dubbed version of Baahubali 2's prequel, Baahubali : The Beginning is all set to re-release soon. "It's time for refresh the memory of this epic!! And for those who haven't seen it! You can't miss this one! Baahubali re releasing 7th April" (SIC). The decision was taken perhaps because there are no major Bollywood films slated to release till Sonakshi Sinha's Noor, which will hit the screens on April 21. Baahubali 2 is slated to release on April 28. READ NEXT >> The West & its politics in the Arab countries: Where will the war refugees go?